Chuck Liddell’s long-discussed return to the cage did not go as planned. Instead, the former UFC light heavyweight champion was knocked out by Tito Ortiz — a man he’d bested twice previously — in the very first round. With this outcome, the 48-year-old Chuck Liddell has now been knocked out in his last four fights. UFC color commentator Joe Rogan believes he knows why this has happened. He believes that, at the height of his career, Liddell was able to rely on the strength of his chin when chasing his own knockout victories. When his chin began to weaken, however, he did not adjust his style, and thusly found himself on the receiving end of violent knockouts more and more frequently. Joe Rogan also advised young fighters to learn from Chuck Liddell’s apparent mistakes. Most importantly, he said, fighters should fight smart, rather than for the approval of the crowd or the promoter. “When you see Chuck go out on his shield, something about it to me, I don’t like seeing it,” he said. “I definitely would’ve like it if he didn’t get knocked out again. But one thing I would like young fighters to see is there’s consequences to choices in terms of how you approach these exchanges and how you fight. I’m of the belief that you should fight the correct way. “Don’t fight the way that pleases your boss or the crowd. Fight the way you’re supposed too with your skills, and win by knockout when you can. But don’t get knocked out because you’re trying to win by knockout and you overextending yourself and overexposing yourself. That’s not wise. I think part of fighting has to be wise. 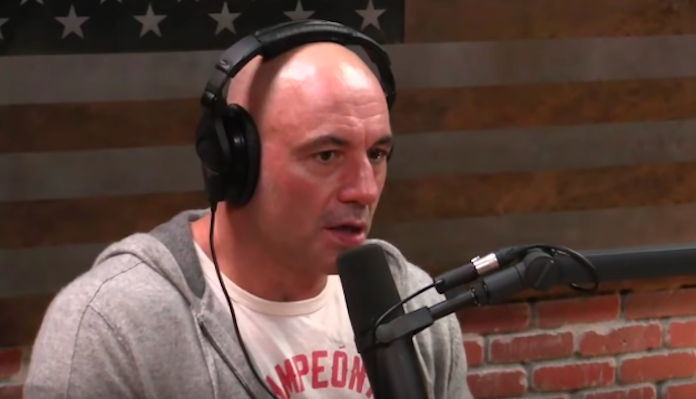 What do you think of these comments Joe Rogan made on JRE?